Students in Ballymena had the ‘dramatic scenes’ that unfold during a traffic collision demonstrated to them as part of a road safety event. 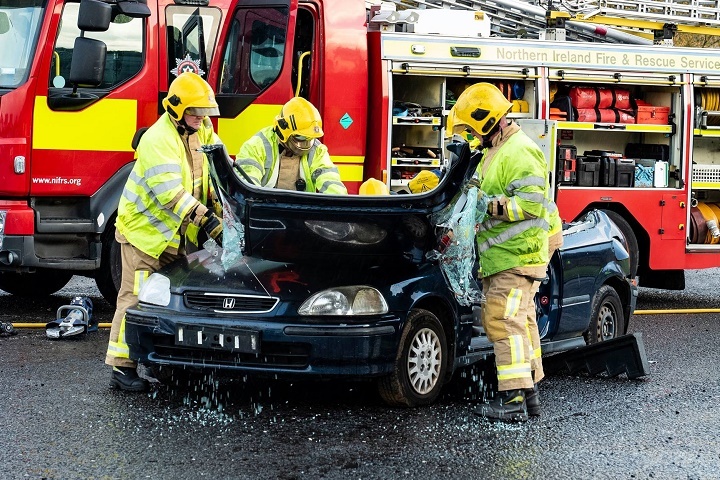 Organised by the Police Service of Northern Ireland (PSNI) and Northern Ireland Fire and Rescue Service (NIFRS), the crash reconstruction took place at the Northern Regional College as part of 2018 Road Safety Week (19-25 Nov). Stephen McCartney, head of student services at Northern Regional College, said the event helped students have a better appreciation of the potential dangers on the road. He said: “The staged fatal accident on campus was a hard-hitting but effective way to highlight the carnage that emergency services can witness when they arrive at the scene of a road traffic collision. In 2017, Counties Antrim and Londonderry saw 2,572 road traffic collisions, more than 10% of which (260) resulted in people being killed or seriously injured. 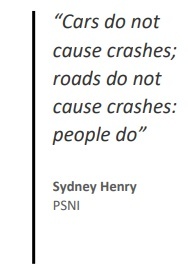 PSNI says the main causes of collisions were inattention and driving too close. PSNI is warning young drivers that they are not ‘indestructible’ and is encouraging them to think about their safety – especially during the winter months. Sorry to hear of so many lived lost and others ruined or injured in some way with the loss of a partner, family member or loved one. I do however support the fact that driving too close was mentioned as one of the main causations. It’s about time common sense recognised the insidious nature of tailgating. More work has to be done to remove this insidious but now epidemic situation that many find themselves in on a regular basis. Tailgating actually promotes distractions. So remove tailgating and reduce distractions. Another win win situation.